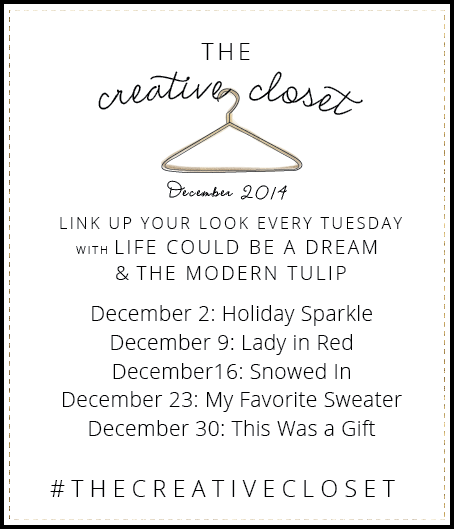 16 comments on "The Creative Closet || My Favorite Sweater"
Maegen! I'm LOVING those first two pics! You look so gorgeous! I feel you on just picking one! It was so hard!! So pretty! You look amazing girl! And that sweater is so cute! Totally cute sweater - you look adorable! I know, trying to pick a favorite sweater is SO hard! I love them all right now! I love the one you picked--the print is so fun. That's something on my wishlist right now, a cute printed sweater that isn't a cardigan. You seriously are just gorgeous. That's all - the end. :) Love your sweater choice, girl! So adorable! 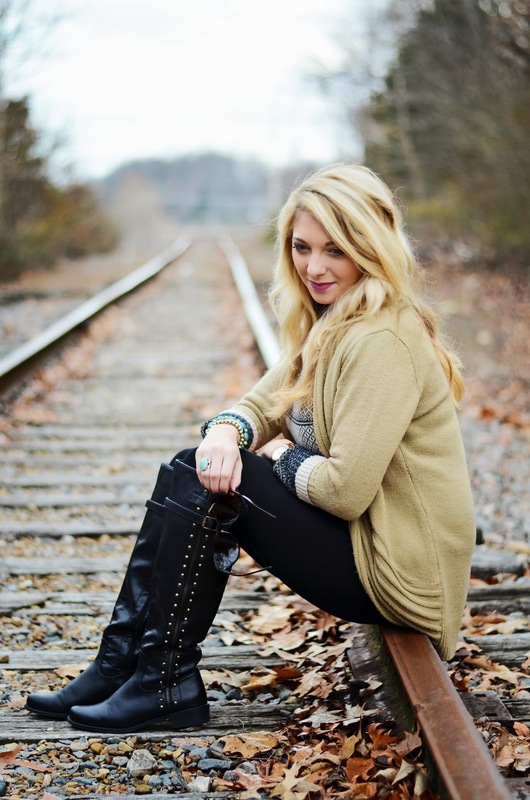 Glad I'm not the only preggers that wore a sweater that had to be pulled down a bit while wearing it, haha!! Agreed, that sweater is perfect! I love it :) And thanks for your kind words up there! You are the sweetest. Girlfriend, you are stunning! Love this sweater! 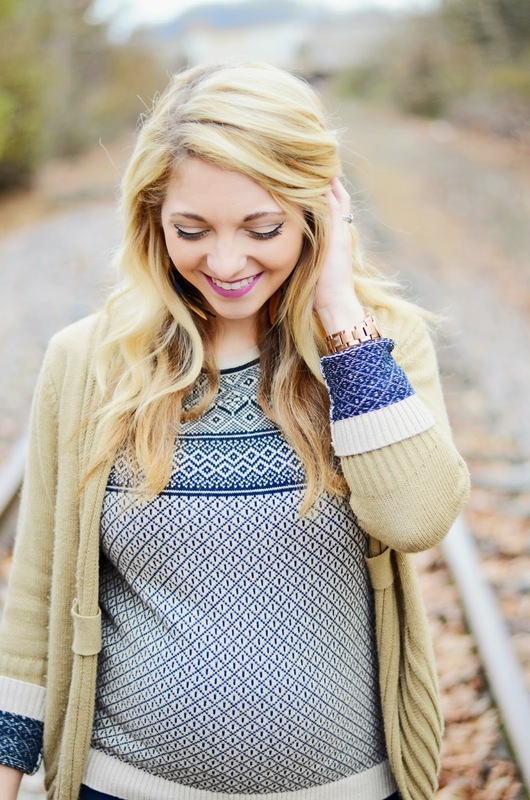 Love this entire look-- especially both sweaters! You look gorgeous in all the pictures! LOVE the look and your cute little belly! :) Merry Christmas girl! Enjoy your last one without Maddox!